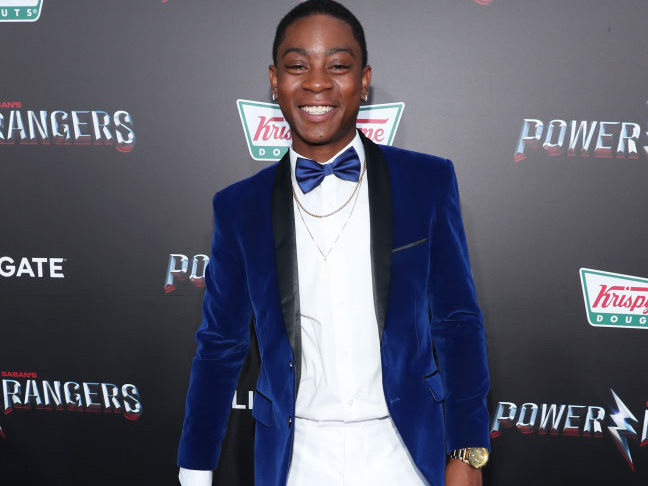 As the parent of a 21-year-old daughter with autism, the news of an autistic Power Ranger (played by RJ Cyler, above) appearing in a reboot of the Power Rangers movie is thrilling. In fact, it’s even more exciting to me than when “Sesame Street” introduced the world to its new autistic character, Julia. My daughter is past the age of needing acceptance from preschool and grade school peers; she is in the thick of convincing the rest or the world that she deserves real opportunities for her future, just like every other adult her age. Seeing a character like Billy on the big screen, in a role that is equal to his peers and part of a team that is superior to everyone else, shows her that she not only deserves success but that she should dream big. My daughter has spent the years since high school volunteering at businesses in our community that offer autistic adults the opportunity to gain job experience. She has done a variety of tasks, including filling salt containers, putting together lamps, and serving meals in a cafeteria — all necessary jobs but none that will lead to a fulfilling future for her. I’m grateful to these businesses for allowing her to volunteer but here’s the thing: I don’t want her to clean menus or stock shelves for the rest of her life because those are the only types of jobs available to her. I want her to find a job that uses her strengths, one where she is seen as capable and qualified and valued. She will never excel in a job interview or fill out an employment application unassisted. Because of the challenges she has processing information and interacting with others, she will always need help getting over those first steps of being hired somewhere. However, once she retains a job where she feels valued she’ll be the most dedicated employee they’ve ever had. Most people with autism thrive on routine and my daughter is no exception. Once she is settled in a schedule she will not deviate from it. Unlike many 20-somethings who live for the weekend, she thrives on the routine a workday would bring and wouldn’t miss a day or be a minute late. Somehow we have to find a way to jump the hurdle of getting hired. I’ve talked to hiring managers and called local places hoping they might give her a chance and everyone seems interested initially but ultimately directs her to their normal hiring process where her chances quickly dwindle. I recently took the kids for doughnuts and, seeing the precise routine the bakery employees followed, knew it would be a great fit for my daughter. The manager on duty seemed receptive to the idea of hiring an autistic adult, so I was optimistic about the possibilities. It’s been weeks since that conversation. I’ve left messages for the hiring manager as suggested but received nothing more than a generic response saying my daughter can drop off an application. I hate to be pessimistic but I know how things will go from here. Her application will be added to a pile, it will not get flagged saying she has autism, and someone will roll their eyes as they deliver the news that the applicant’s mom called “again” — my initial conversations with that manager on duty a distant memory for a busy bakery. All of our children will grow up with children with autism in their classrooms and hopefully develop more understanding of their needs. However, the current generation, the one that’s doing the hiring, has no idea what to do with a young adult like mine. They don’t know that although she may never learn a cash register she would happily greet every customer and remember the order of every regular in that bakery after the first week. They don’t know that she may need an extra week, or month, of training but that training will pay off ten-fold because she will be an honest, loyal, hard-working employee for life. According to Advancing Futures for Adults with Autism, it is estimated that about 1.5 million people in the U.S. have an autism spectrum disorder and roughly 20 percent of them are 22 or older. My daughter, as well as thousands of young adults and the million and counting to come, deserves to see a bright future. They need to see themselves in “Sesame Street” characters and Power Rangers and the cashier at the drug store and so do their parents. We’ve all worked really hard to help our children reach their full potential and want nothing more than to see that grow into a fulfilling adulthood as well. The Power Rangers are a group of super heroes, a force to be reckoned with; they are doing the helping rather than the ones being helped. I hope as others see this movie they see past the autism in this character and maybe even forget it’s there after a while. Creating a Power Ranger with autism spreads the message that individuals like my daughter don’t need pity or charity, they need a chance.